This crisis is taking lives; it's destroying families and shattering communities all across the country. Montana’s deadliest drugs aren’t made in secret labs and they don’t always come from dealers on the corner. They’re in our own medicine cabinets. Each year, prescription drug abuse contributes to the deaths of more than 300 Montanans — making prescription drug abuse 15 times more deadly than meth, heroin and cocaine combined. Our kids report the third-highest rate of prescription drug abuse in the country and more than half of them say prescription drugs are easier to get than street drugs. 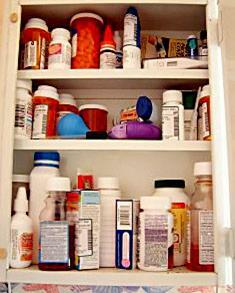 This deadly abuse happens in our own homes, sometimes with our own medication. Yet, most of us don’t even know prescription drug abuse is happening — until it’s too late. This is Montana’s invisible epidemic. Are you safeguarding your prescriptions? PROPER USE...Take prescriptions prescribed only to you and take exactly as directed.